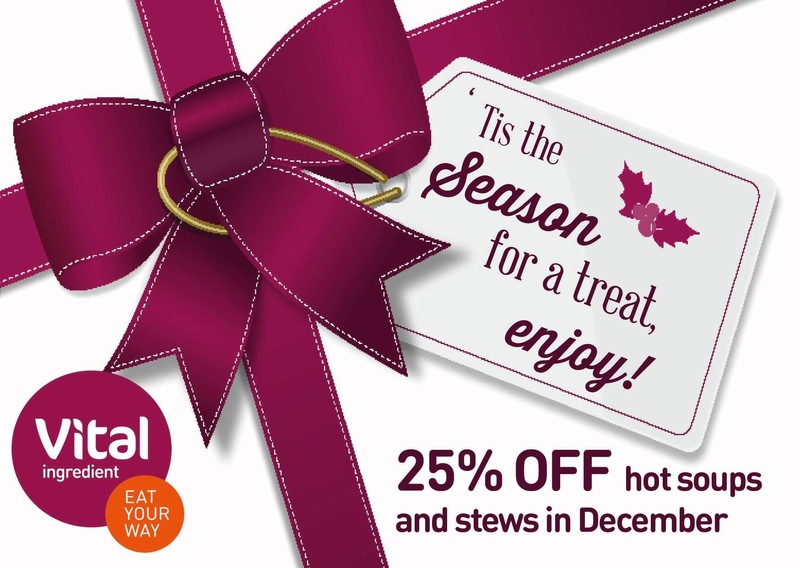 Just a reminder that if you buy one of our lovely salads this week we will hand over a voucher which entitles you to 25% off one of our tasty soups or stews throughout December. We wanted to do this partly as a thank you to our loyal fans but also as December is traditionally a quite month for us, the combination of cold wintery weather and people indulging during the festive period means that healthy salads take a bit of a back seat. Value for money is something that we are working hard at improving at the moment and we have spent the last few months talking to our customers who have given us a few pointers as to how we might be able to improve things. You will start to see the result of this work early next year.